Our delicious Henri le Worm menu is full of hearty home-cooked dishes that will tickle your little ones taste buds. So whether you are out and about and looking for somewhere to enjoy a bite, we look forward to welcoming the whole family for some wonderfully fresh seasonal cooking! *Available until August 31st 2018 inclusive at BB Farnham, Portsmouth, Chichester, Winchester, Bristol, Charlotte Street, Southbank and Tower Hill only. Cannot be used in conjunction with any other offer. 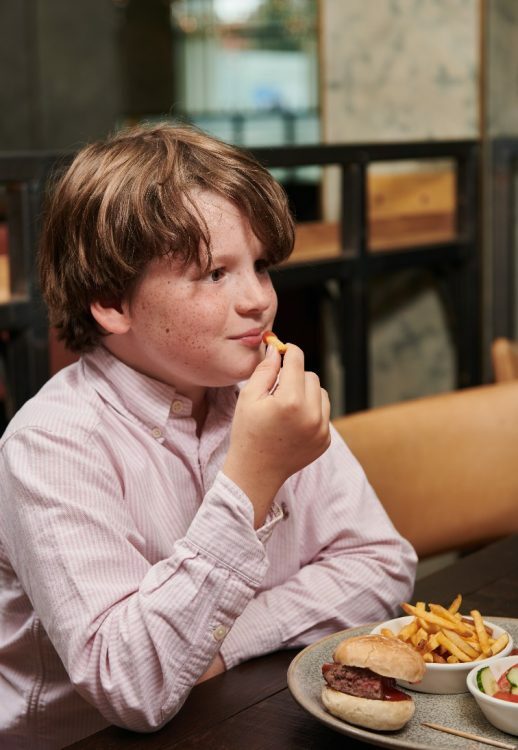 One free Henri le Worm menu per child for each adult ordering a main from the a la carte menu. Availability of the offer may change so please check with you chosen venue before visiting.